Transport firm Arriva has come up with an alternative way of offering support to bus drivers subjected to abuse at work – by sending them to martial arts lessons. 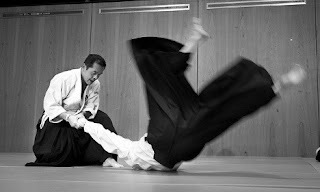 A total of 76 have attended aikido lessons in Copenhagen's middle-class Østerbro neighbourhood over the last two years, with the aim of giving them increased feelings of safety and security at work. Aikido is a modern Japanese martial art closely related to jujitsu, and also draws on influences from philosophy and Shintoism. Its techniques are characterized by throws and pins used against an attacker. “The main reason Arriva went with this project was the consideration of how we can best prepare our drivers to defuse [threatening] situations, and give them the appropriate tools to help them come out of such situations with their health and dignity intact,” Arriva Denmark's regional director René Frylund told DR. The transport boss promised, though, that his drivers were not about to start putting passengers in wrist locks. “They learn to defuse the situation, and if they are unfortunate enough to have somebody laying a hand on them, they will know how to move to prevent the aggressor landing a hit,” Frylund said. Psychologist and researcher Lars Peter Andersen of Herning Regional Hospital's occupational medicine clinic told DR that he believed martial arts were a useful resource in professions that regularly deal with situations of conflict. “[The training] will partly provide drivers with a better awareness and method of communication. They will know that they have the necessary skills to survive dangerous situations. This will enable them to come across as safer and calmer,” said Andersen.